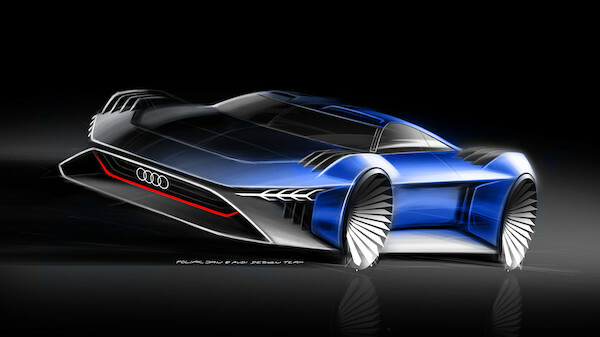 Audi declared Thursday that it has designed the hero car for the upcoming animated spy film Spies in Disguise. The film will star Will Smith as suave agent Lance Sterling, who needs transportation to match his sophisticated personality—as is natural for the character archetype. In steps Audi with the RSQ e-tron, a vehicle that looks like a halfway ground between the PB 18 E-Tron concept and the 2019 R8. "Audi and [Twentieth Century] Fox have been great collaborators over the years and we're thrilled to evolve our relationship, bringing Audi into the world of animation for the first time," said Erin Williams, VP of marketing partnerships for Twentieth Century Fox Film. "This project was the perfect opportunity to highlight Audi's e-tron technology and give our intrepid spy, Lance Sterling, his own signature spy mobile." 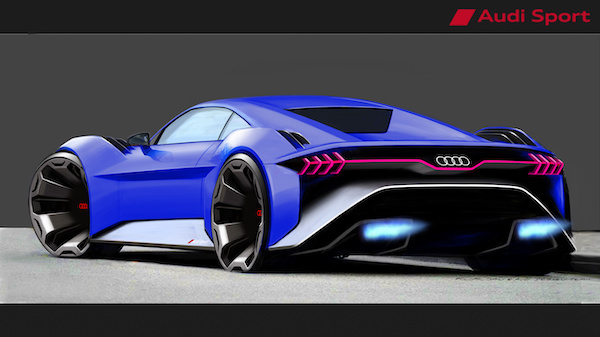 Audi designed the car with the aid of Blue Sky Studios, makers of Spies in Disguise, and touts the RSQ e-tron as a battery-powered electric supercar. "An international espionage story with future technologies that can save the world is the perfect match for the Audi brand," stated Audi's VP of Marketing, Giovanni Perosino. "Similar to our cars, fun, innovation, and performance are key elements of the storyline." Someone along the line appears to have missed the whole "electric car" memo and tacked an exhaust note onto the RSQ e-tron in the film's trailer. Part of Audi's stated goal of including the car in the film is to reorient customers expectations of the automaker toward electric propulsion, meaning somebody might be about to get a tongue-lashing for this little screwup. "The RSQ e-tron is a virtual concept which was explicitly designed for the movie," an Audi spokesperson told The Drive when asked about the RSQ e-tron's exhaust note. "Therefore the idea of design is much more in the focus than a technical realization, also in terms of sound. Above this, what we see is a trailer and there will be made some adaption to the sound for the final movie." "As it is made for a movie, it gives our designers more freedom in creation and cannot be seen as a guidance to upcoming Audi models, but anyway, everything we do follows our main design principles. The RSQ e-tron will be in a fun, dynamic sequence with the lead characters of the film." Audi's halo car gets a thorough makeover and an arsenal of motorsport-proven components. The company is seeking regulatory approval for changes to the SUV's software. The automotive giant has advocated for change on the national level.